I keep digging up new things to improve on this iPad synthesizer. The latest thing has been the delay effect. Before I restarted development work on this project, the delay stage only handled the total output. 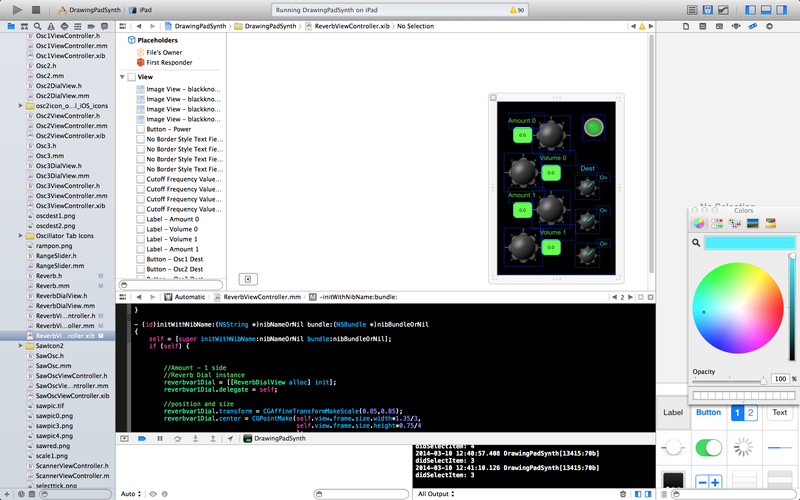 Using a very minimal code change, I have now expanded this functionality to include individual delay effects (or at least the mechanisms to do so) for 3-4 oscillators. The resulting effect is one that paints a color containing both a foreground note as well as backing (even ghostly) background notes. I can’t wait to make some recordings with this app!